This is my most favorite race I do of the year. It is so much fun and there is so much energy! 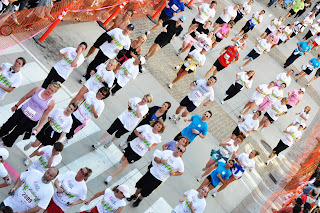 18,000 people registered for this race and man that was alot! I ran it in under 30 min and my knee did great. 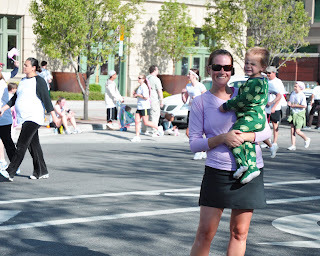 John and the kids came to support me and got some great pics of the runners. John has decided to do this with me every year from now on. I can't wait to continue a long time tradition with my husband by my side. You are looking fantastic Jillie. I'm very impressed and inspired. I need to go exercize. So proud of you!!! Reminds me just how badly I need to get back to my running routine :( Yesterday was my last day of babysitting so I don't have that obstacle anymore - YAY!! I really need to do this with you next year, have having cancer and all! This looks amazing, and I can see the enery in the pics! Nice job Jill. Are you ready for the Ragnar??? ?